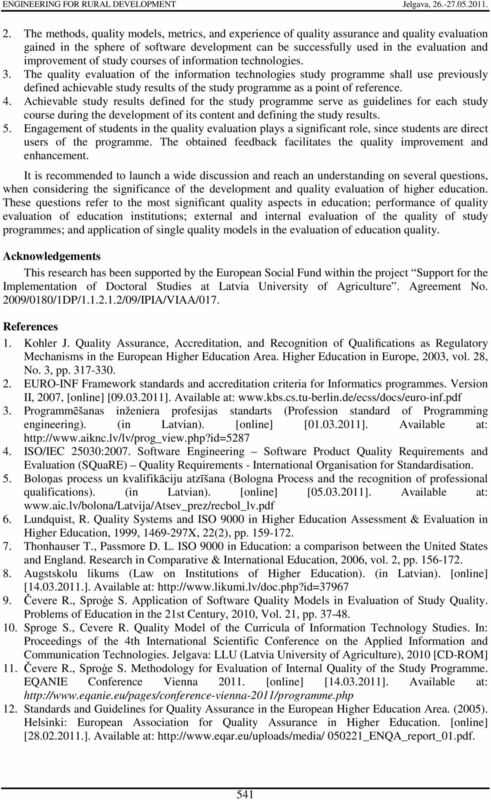 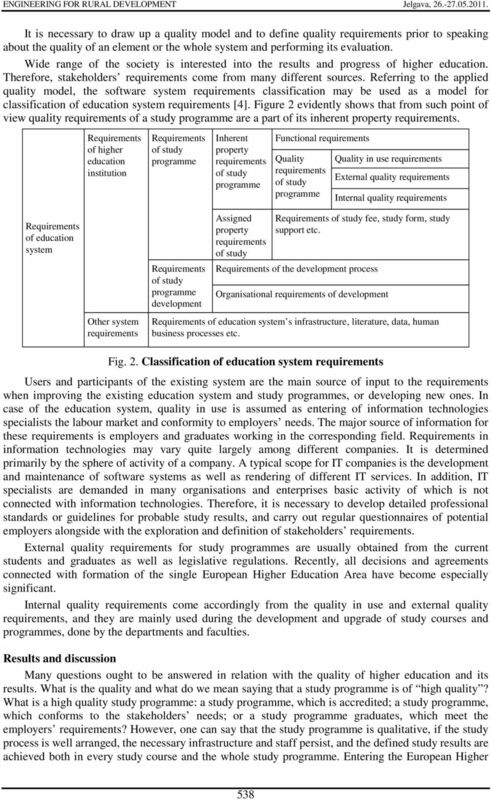 Download "SOFTWARE DEVELOPMENT QUALITY MODELS IN ENGINEERING EDUCATION"
[Registered Qual & Unit Std Home page] [Search Qualifications] [Search Unit Standards] All qualifications and part qualifications registered on the National Qualifications Framework are public property. 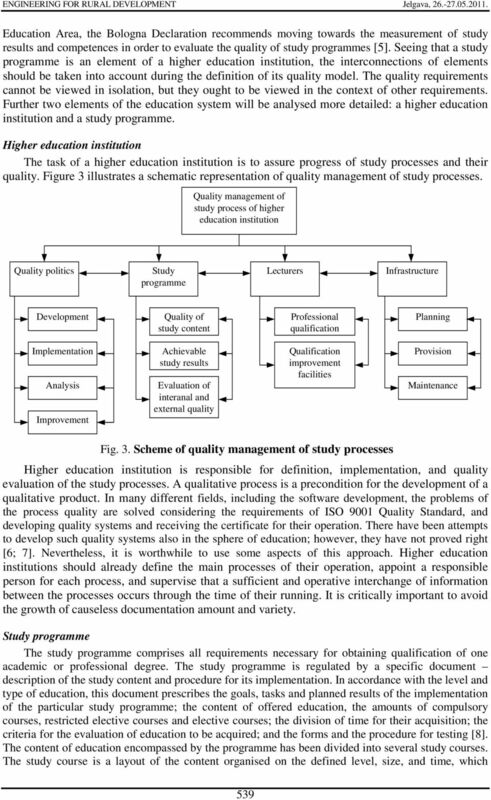 Sholpan M.Maralbayeva, MBA BUSINESS EDUCATION: PERCEPTIONS OF QUALITY. 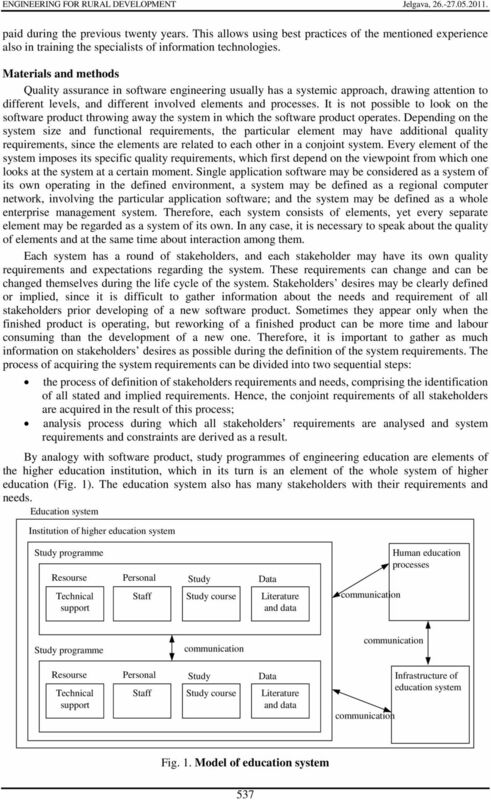 Teacher education is a real apple for the teachers. 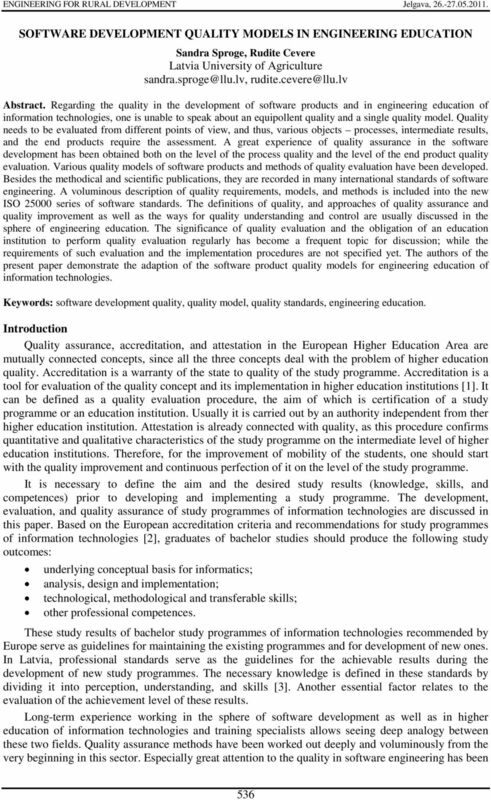 Department for the evaluation of programmes and degrees - EVALUATION OF THE RANGE OF BACHELOR S DEGREES - GROUP B (2012-2015) Training is one of the two main missions of higher education institutions. 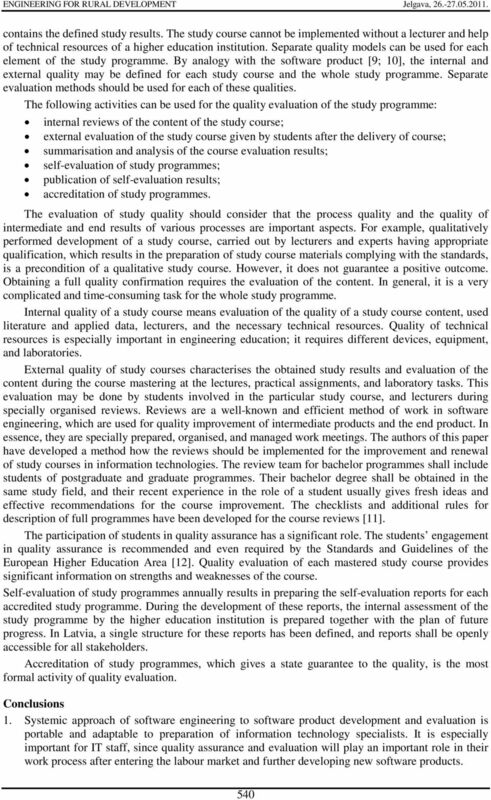 Degree Statute Bachelors in Automotive Engineering 2014 2015 Academic Year Part 2 Regulations governing the education and examinations Regulations for External Supervisors of Exams Table of contents 1.